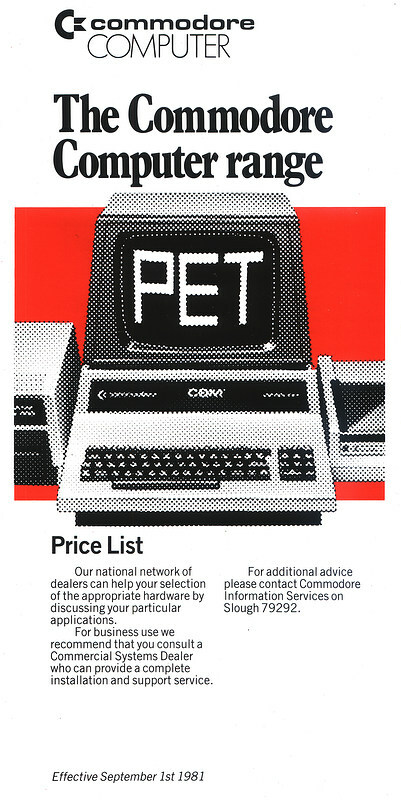 This advert is a sales-channel price list for later-model Commodore PET computers. Prices ranged from £632.50 for the entry-level 16K 40-column 12" screen PET 4016 (about £2,580 in 2019 terms) to an eye-watering £4,020 for a 22MB Winchester disk. That's around £16,400 in 2019 money, or if £181 cost per megabyte was the same, a modern 2TB disk would cost £362 million - even without allowing for inflation.